in what i think will become a semi-regular posting, i’d like to present the first edition of the “round up.” we’ll quickly take a look around a few short news stories that i found interesting, but don’t have a whole lot to say about… yet. 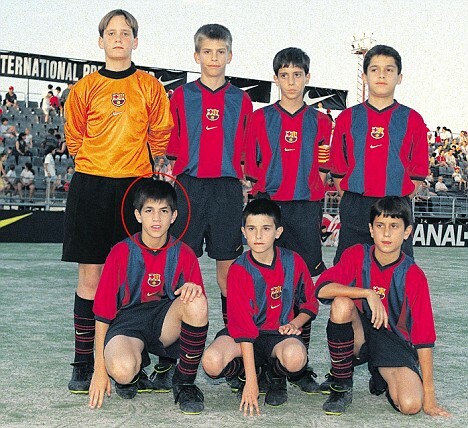 cesc... back to the future? in an attempt to ward off potential suitors barcelona and real madrid, arsenal have slapped a £40m price tag on my favorite player. fàbregas has long said that he would some day like to play back home in spain. former scandalous real president ramón calderón promised a cesc signing in his election campaigns. but having grown up in barça’s youth system and being from catalunya, cesc will likely head back to barcelona if he leaves arsenal. i know this is the most likely scenario, and it makes me want to cry… a lot. my spurs are effectively being priced out of the top 4, so admits harry redknapp. he’s basically admitted that he lost out on both roque santa cruz and gareth barry this summer because he couldn’t compete with the wages being offered by the manchester city. great, the yid’s hope of ever breaking into the top four is now even less likely. not to mention stewart downing is also probably not going to come in due to a potential season ending injury this summer. so far, nothing exciting from white heart lane this summer for transfers. can ‘arry pull some more magic and make the current squad better without any additions? so i almost had a heart attack when i read that jermaine pennant was moving to real… i click in and am overcome with joy when i read that it was real zaragoza. thank god. i can see this move actually happening. they haven’t brought in anyone to replace ronaldo’s goal scoring yet. it would definitely lighten rooney’s load to carry, whether he wants that or not. eto’o is said to favor this over moving across town to city because he was “eager to play in the champions league” next year. finally, someone being smart about this moving to manchester city trend. did you hear that john terry? if eto’o is really smart though, he could totally stick it to barcelona by rejecting any moves until barcelona when his contract will be up… when he can leave and barça will get nothing in return.